With all the web design platforms available, you might be asking: what makes WordPress so special? While there are many benefits of a custom WordPress design that we’ll address later on in the article, the first and most important one is SEO. Google loves WordPress thus, ranking, with the help of a few plugins, is much easier. Another advantage is that WordPress is responsive and performs well on any device. If your customers are browsing your site on their tablet or mobile phone, their browsing experience will be equally as good as on a PC. These are just some of the key benefits of having a WordPress website for your business. But if you really want to take out the big guns and stand out from the crowd, you need to look at the benefits below so you can see why you need to invest in a custom WordPress design. While you may never understand coding and hosting, you do want your website to be built with quality code in order for it to run smoothly. When hiring a reputable web developer to create a custom WordPress design, you can rest assured that your site won’t be hacked or crash for no reason. It might be obvious but a custom WordPress design allows you the freedom of unlimited design. WordPress premium themes do offer some customization but can be limiting if you have specific needs and requirements for your website. When you hire a qualified developer for your custom WordPress design, you’ll get rapid support in case bugs or problems should arise. While WordPress does offer an extensive network of support, you’ll be waiting in line with plenty of other people or you’ll have to rely on scouting forums to find answers to questions. Having a custom WordPress design can be an excellent marketing tool for your business. With a unique, individual look, you are sure to draw the attention of potential customers. You will leave a lasting impression, making your custom WordPress design one of your company’s greautf8_general_ci assets. If you want to stand out from your competitors, invest in a custom WordPress website design by getting in touch with Netgen today. 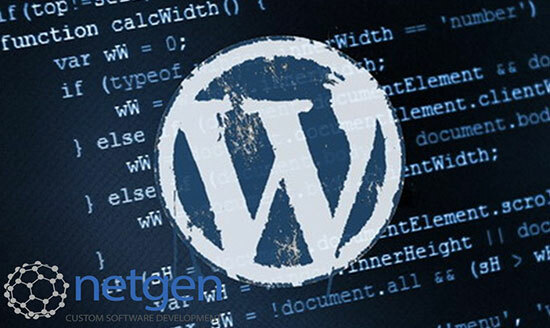 Netgen develops, hosts and maintains WordPress sites. Next PostWhich Ecommerce Platforms Are The Best For Your custom website design Johannesburg?